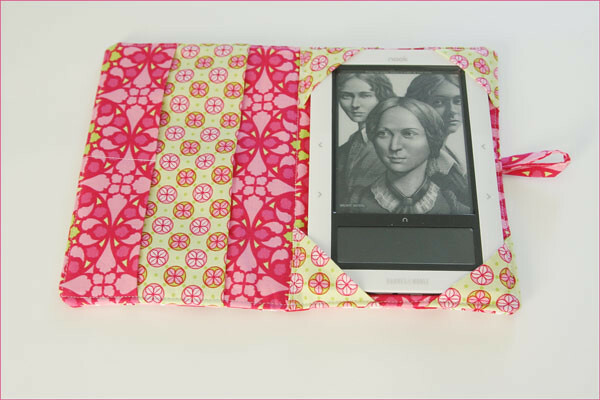 Craftster Community > PURSES, BAGS, WALLETS > Purses, Bags, Wallets: Completed Projects: General > I made a Nook cover! I made a Nook cover! I wanted to make my own, with pretty fabric. Plus, the covers at Barnes and Noble cost a small fortune. I knew I could make one myself, it took a few tries to get it perfect, but I love how it turned out. Re: I made a Nook cover! I really like the fabrics, very bright and cheerful! They're sort of modern colours mixed with a classic print, so I guess your book covers will always look stylish they've been put together very neatly too! Did you draft a pattern beforehand or did you just wing it? Cool. I'm suppose to be making one for Mr. Taco. This is a great one. very awesome, i want to make one-pretty please post a tute!! That's beautiful! Is that like a kindle? I love your fabrics and the cover style, it's very nice! Well done! Well, I liked this so much, I decided to try and make something similar for my iPod touch. I put less pockets on the side, and I forgot to put some padding in it for safety, but overall I'm happy with it. I got my nook less than a month ago and its already dirty (i bring it everywhere and I'm constantly reading). I was about to shell out the ridiculous amount for a cover but this is so cute I'll have to make one! I'm a fat, crafty chick. LOUD AND PROUD! Check out my bi-weekly podcast where two twenty something heterosexual women (who act like fifty something gay men) discuss geek culture, pop culture and all things Disney, Doctor Who and theater. really pretty. i love the fabric combination with all the nice colors. 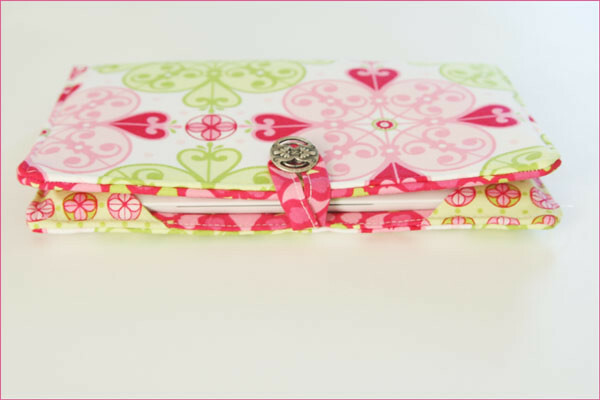 it reminds me of spring:) if i had a nook, i would definitely want a cover like that:) oh, and the button is really nice too.